Your jewellery is important to you, and we want it to always be in perfect condition, looking sensational. Maintaining your jewellery is just a matter of routine care and cleaning, here are a few helpful tips to keeping your pieces looking as good as new. To avoid scratching your jewellery you should keep it stored in a separate compartment within your jewellery box. Delicate pieces should not be worn every day. If there is damage, avoid wearing the item until it has been checked by a qualified jeweller. Prepare a small bowl of warm water with a mild detergent. Brush pieces gently with a soft toothbrush and rinse under warm running water then pat dry with a soft cloth. Alternatively you may purchase jewellery cleaner which comes with its own easy to follow instructions or better yet bring it into My Jewellery Shop for a professional clean. Do not store pearls in an airtight container as they need moisture. Ideally, pearls should be restrung every two years to ensure that the pearls are secure. 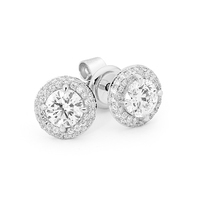 White gold jewellery is rhodium plated and is susceptible to wear over time. In between professional cleans you can maintain your precious jewels at home with jewellery cleaner which comes with its own easy to follow instructions, this available from My Jewellery Shop. Polished Silver is usually suitable for everyday wear unless it is a fragile design. It can be cleaned with a silver cleaning cloth. More difficult or stubborn tarnishing may require use of a commercial cleaning metal polish or silver foam. Oxidised silver is usually suitable for everyday wear unless it is a fragile design. It is best to clean oxidised silver with a soft cleaning cloth or wash with warm soapy water. Do not use silver dip as this can remove the oxidation. Stainless Steel is extremely strong and is suitable for everyday wear. It can be cleaned with a soft cloth or warm soapy water.